Tonight’s phobia, or rather a fear, is that B will not let me out him down to sleep. I’ve been in his room for over an hour now and he’s fine until I put him down. Spent all day holding him to sleep too. It may be a long night. (Ps. 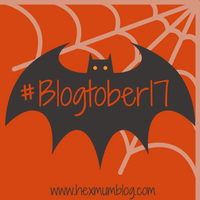 You can’t even tell that I had nothing prepared, and had to whip this up asap because I really want to complete Blogtober, can you? !